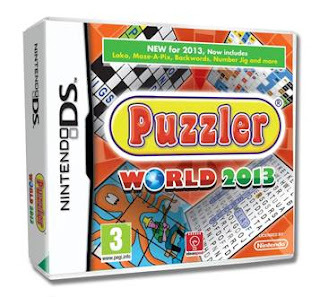 Today I am talking to you as I have been asked to review Puzzler World for the Nintendo Ds due to my interest in technology. Developed and published by Ideas Pad, Puzzler is proud to announce the latest release in its hugely popular Puzzler World series, which has just been released for Nintendo DS. We all need to keep our memory active don't we, and what better way than relaxing with a cup of tea and Puzzler World on the DS? Whether you have a Nintendo Ds yourself or you are borrowing it from the kids, its a fun way to relax in your own home. I gave it to my husband to try and he was highly impressed with the whole host of puzzles and brainteasers - there's over 1200 puzzles on the software . 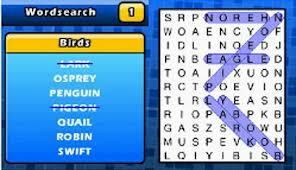 As well as the old favourites such as Crossword, Wordsearch, Codewords, Pathfinder and Sudoku it also introduces new puzzles such as Loko, Number Jig and Maze-a-Pix and includes exciting bonus games after each Challenge Mode. If you are an expert, or simply want to master your puzzling skills, you’ll enjoy being challenged with the unlocked Master Mode puzzles. Do not fear those in need of help can collect handy hint tokens to help them out with the trickier puzzles or race ahead of their friends and family – collecting trophies along the way! 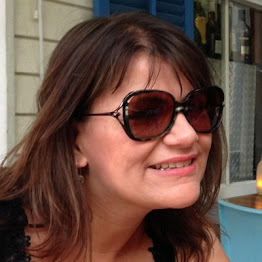 I think it is a great game for teenagers too - excellent for improving Maths and English skills. You can buy Puzzler World from Amazon here at a great price of £19.99. A great present for those of all ages. Now let me kick my husband off so I can get on the DS!